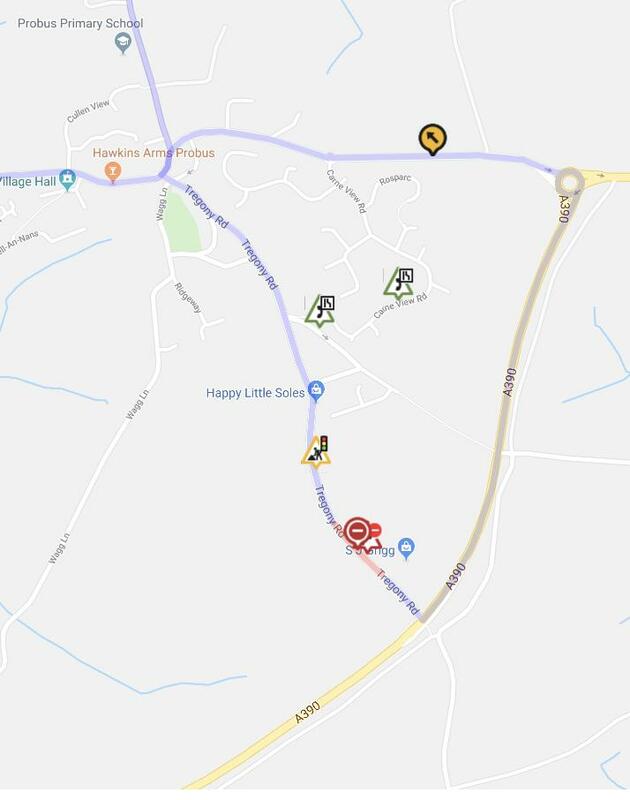 Tregony Road, Probus, will be closed again for just under 3 weeks in September for works to be carried out by South West Water. The closure will be between the Wainhomes site and S J Grigg garage. The works are to the main supply in this area and are not related to the Wainhomes estate. It is unfortunate that the works could not be timed to take place at the same time as the closure for the Wainhomes site works earlier this year. Diversions will be in place. Access to the doctors' surgery and Parkengear Vean will be from the village only. Access to S J Grigg will be from the bypass only. See copy of roadworks website page below. Or see the roadworks website.